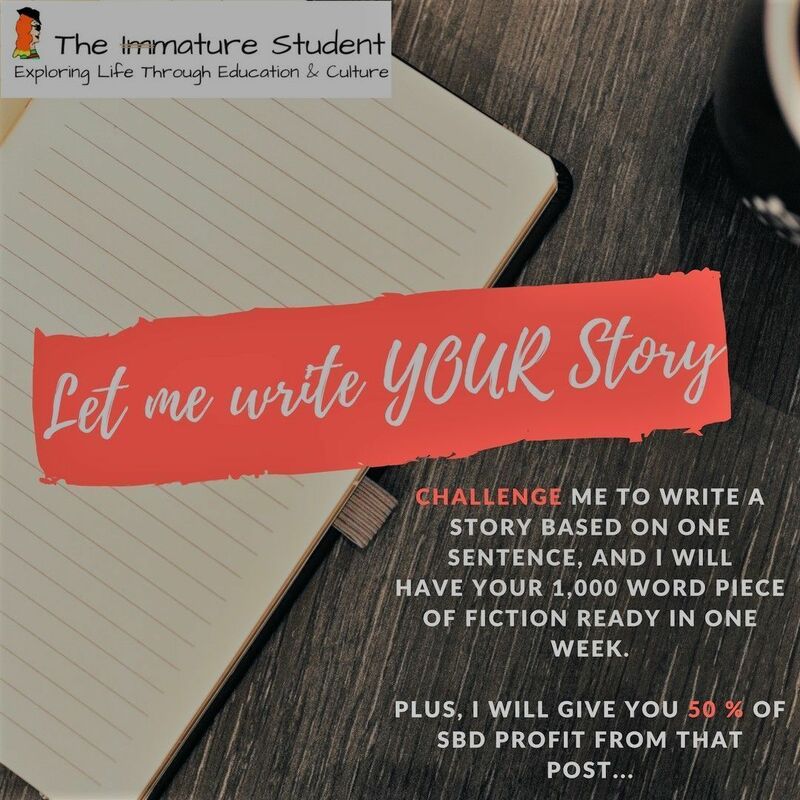 Let Me Write Your Story- New Challenge. I really enjoyed the last one, so I am doing it again. I am a new writer who has written two screenplays a novel, and five short stories within a two year period (Only recently published) I am also a creative writing student and I want to show my versatility as a writer. I would like to write a new short story, 1,000 words from a one line prompt. One that I am hoping one of you wonderful commenters will provide. I will ask one of my peers to pick one for me out of the comments. My step-sister wanted to be written into a book as a small character. She gave me a description , her fictional name and the occupation.I had the nickname, 'killer', who was a small dark haired lady preparing to retire from a 35 year stint as a detective.I made a 5,000 word story with that person in a book that I later published.What I am looking for this time, is something similar, or a situation. You can even choose as to whether you want it third, second or third person. Just give a sentence as to who, what and why. How about writing on how the world will change or be allowed to change? If an engine is invented to use sea water as fuel instead of petrol. It can run cars or trains or generate power. If you continue to try, you will be a big writer one day, we welcome you from the steemit family and steemit who is a good story to you. Thanks do you have a comment for the piece I am writing about? When this guy walked into my local pub everyone instantly knew he wasn't someone to mess with, 5 minutes after he sat next to me I realised he was one of the nicest blokes I'd ever meet.